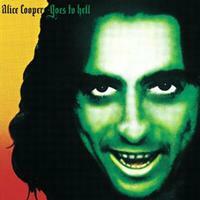 This was the second Alice Cooper album as a solo performer (rather than the front man of Alice Cooper the band). It showed him moving in much the same direction he had on Welcome to My Nightmare, but this tends to be a little more slick and ballad oriented. There are some great tracks here, but the set is uneven. It’s still quite good, but not the masterpiece that was Welcome to My Nightmare. This review is available in book format (hardcover and paperback) in Music Street Journal: 2010 Volume 4 at lulu.com/strangesound. Starting tentatively, there’s a rubbery groove to this that’s almost disco. As it rises up, though, it begins to resemble the kind of hard rock that Cooper was doing in those days. This is a classic Cooper song and has a gang vocal on the chorus. There are a few changes and alterations here, but overall it’s just a classic Alice Cooper rocker. There’s an AOR sort of feeling to this. It’s got some jazz and some progressive rock in it, but it’s also got a lot of disco. It’s steamy and seductive. It’s a good tune, but a bit too salsa for my tastes. Now, this one works better. It’s got a cool shuffle and is steamy, while still understated. This is very much the typical Alice Cooper 1970’s AOR ballad. It’s a good tune, but a bit generic and just kind of average. The lyrics, though, are clever. 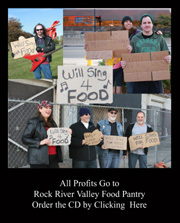 A 1950’s rock and roll sort of element makes up the music to this piece. I’m not overly crazy about this one. Still, the lyrics are clever (if a bit silly). There are some intriguing instrumental changes, too. Here’s a hard rocker that’s quite effective. It’s not a big shift or change in terms of Cooper’s style, but it’s a great tune. This cut by itself would be worth the price of admission here. It’s creepy and yet beautiful. It’s a powerfully theatrical piece, but it’s also very much a progressive rock number. I love this track and consider it to be the real gem of the set. The riffing on this at times is prog rock like. The cut has a salsa sort of groove to it at times, too. It’s steamy and tasty and the lyrics are clever. There are a few intriguing changes. This is a theatrical piece that has a lot of progressive rock within it. It’s got plenty of old time music here, too. This resolution piece is quite theatrical in its approach, but the lyrics are interesting. It works quite well in terms of wrapping things up.